Trying to revitalize itself as once a major force in the social networking arena, MySpace is beefing up its social gaming service in an effort perhaps to catch up with the popularity of social games on Facebook. At the Games Developers Conference, MySpace has launched a new MySpace Games experience – creating a more social gaming environment with new set of tools and functionality for both users and developers. MySpace launched its new game site at myspace.com/games. For MySpace users, the new MySpace Games Gallery offers more features including game notifications, personalized game recommendations, discover new games from their friends’ Stream, and popular game charts. MySpace users can also rate the games to enhance search results and recommendations. For game developers, MySpace is providing a simple and user-friendly platform for independent game developers as well as robust support for premium games for its partner major development game developers. MySpace games engagement will also be improve as games are to be merchandized in more areas and shared easily among users. MySpace also announced the new Neon for iPhone application. This application will provide users access to their MySpace games while on the go as well as make it easy for them to interact with games on their iPhones. All the other things that users can do on MySpace Games on the web are carried over to the iPhone app plus the ability to install games remotely. So, what do you think? 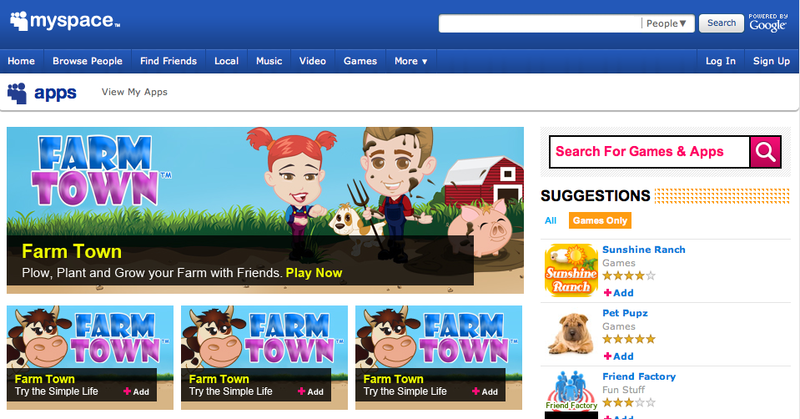 Can MySpace bring back its glory days through social games? Or is Facebook already deep into the game that it will be difficult for MySpace to rock Facebook’s dominance? Will you be using MySpace games?